If you are dealing with a TMJ disorder, you might consider it to be a nuisance. Occasionally, your jaw pops when you eat or feels like it is locked. You’ve got soreness and tenderness around the joint that can be rather annoying as well. It hasn’t really been an obstacle yet, just a bother that can annoy you from time to time. But now you’re beginning to experience some problems with your speech and vision. Believe it or not, these problems could be connected to your TMJ disorder. When you have a TMJ disorder, it revolves around the temporomandibular joint. This is the essential hinge that connects your jaw to your skull. When it functions normally, your jaw moves smoothly while you eat, talk, or yawn, without causing any discomfort. However, it’s a different story with a TMJ disorder. A jaw that is out of alignment can become strained and inflamed. As a result, you can develop a speech problem when the movement of your jaw is impeded. The pain and difficulty with movement can be extremely frustrating. Hearing loss can result from irritated nerves and swelling in the jaw, causing additional speech issues. While you would never expect vision loss from TMJ, your jaw is actually connected to your whole head. You have a major nerve known as the trigeminal nerve that is connected to the eyes and both portions of the jaw. When you experience TMJ pain or discomfort, it can be transferred to the nerves that are connected to the eyes. Pressure behind the eyes, blurred vision, eye fatigue, aching eyes, and droopy eyelids could all be related to your TMJ disorder. 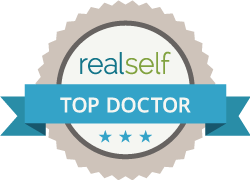 You need to resolve your TMJ disorder or you could find yourself dealing with bigger problems. 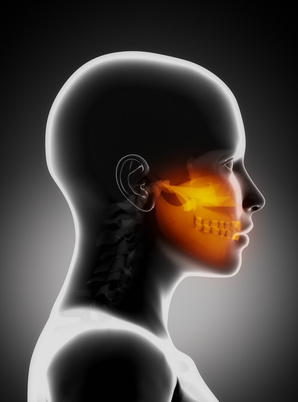 If you are experiencing TMJ symptoms, make an appointment with your Chicago dentist to find solutions. Through careful evaluation, it is possible to determine the best course of action. From a mouth guard that is worn at night, to physical therapy or dental restoration to modify your bite, there are many treatment options available.